On the heels of a record-setting 2017-2018 cruise season, Prime Minister of St. Kitts & Nevis the Hon. Dr. Timothy Harris and Minister of Tourism the Hon. Lindsay Grant met with top executives from Carnival Corporation & PLC to discuss further development of the partnership between the destination and the cruise line. 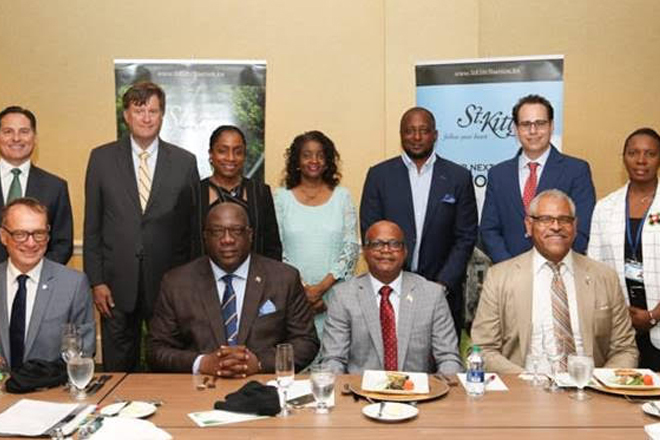 Led by the prime minister and Minister Grant, the St. Kitts delegation spoke with the Carnival team about progress being made on the construction of the second cruise pier at Port Zante, transportation sector standards, public infrastructure development and the identification of clear growth strategies and product enhancement plans to maintain the destination’s strong appeal to the cruise market. Future itineraries that include the destination as a port of call from Carnival Corporation were also discussed. 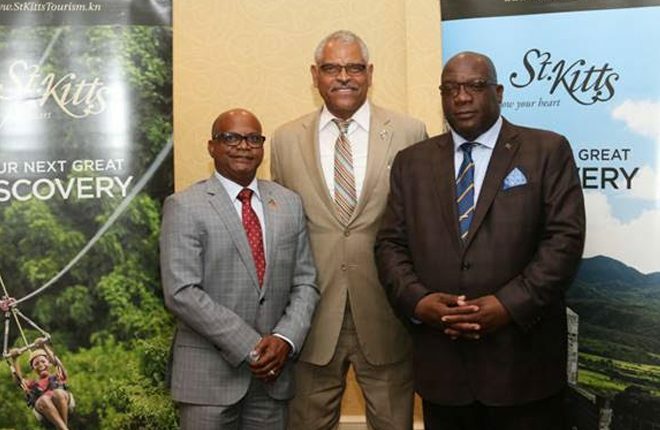 On July 16, 2018, St. Kitts exceeded one million cruise passenger arrivals for the first time in its history, the only destination in the OECS to do so in the 2017-2018 season. Having reached this millionth passenger arrivals milestone, St. Kitts is now considered by the cruise lines to be in the same marquee port status category as much larger destinations in the region.